Discussion in 'Player Organizers' started by Macintosh, Nov 8, 2018. About MeHello, all! I'm a college freshman majoring in data science. I have many interests, including Star Wars, journaling, playing several instruments, and math. Yes, I actually enjoy math! I work at Starbucks, so if you want any drink recommendations or have any questions, let me know! Roleplay PreferencesI don't really have any preferences. I'll do any and all threads. If I had to pick my favorite kind, it'd be the long-term character development plots. Those are so much fun and I feel like they're really engaging! Check out my characters below! I don't... really have any long-term ideas or anything, but I thought it could be interesting to thread these two and see if anything comes from it. I'm not sure if you're familiar with The Old Republic MMO, but Jaesa here is from Alderaan, around 3,000 years before Leia was even born. She hasn't been back home in many years, since she was picked up by a Jedi Master and became a padawan (long story but she... isn't in the Order any longer), but her childhood was spent in Castle Organa, daughter of servants and handmaid-in-training to an Organa lady, and nearly in an arranged betrothal to an Organa lordling before she joined the Jedi. She's not particularly keen on the Organas though, given that she has unique Force powers that were useful to the Alderaanian elite, and the Organas pretty much used her for them even as a child, so she doesn't have the fondest memories of them. She might dislike Leia for being part of that family, but if she proved herself different to the manipulative, deceitful people willing to use a kid for their own ends, then perhaps she could warm to her. I'm sure being friends with Rey will be points in Leia's favour anyway, since Rey is pretty much Jaesa's only friend rn. Yes, yes, yes! Leia would LOVE to meet Jaesa!!! She would have so many questions for her about the history of Alderaan! Learning about her lineage is one of Leia's favorite things to do. She might get a little annoyed if Jaesa starts disliking her, which from Leia's viewpoint, would seem to be for no reason. The only perspective on the Organas Leia has ever had has been nothing but positive, so at first glance, she might curate a dislike for Jaesa if she tells her how she doesn't like the Organas. However, all of the hostility from Leia will probably go away when Jaesa tells Leia about her experiences. Leia is already friends with @Rey Solo as they have met before, so that could be a perfect gateway for these ladies to meet! Maybe Rey and Leia want to go out to lunch in Pandopolis, and Rey decides to ask Jaesa to come, not knowing the connection these two might have? @Rey Solo, we could even do a text thread about them making plans! How does all this sound? Sorry if a lot of this sounds like word vomit, I was excited and needed to get out all my ideas while I still remembered them! It'd be interesting to see how it all goes down! I have absolutely no idea how Jaesa will really react tbh, though in general she would probably seem a little distant and standoffish to Leia anyway, because Jaesa's been through a history of trauma and abuse in Pandora, the latest of which involved being a captive and kept in isolation for 3 months by Sauron as he forced her to do dark things she's been trying for ages to move away from. She only escaped at the start of the Calamity, died in a pretty nasty way during it, and has been depressed over being alive again. 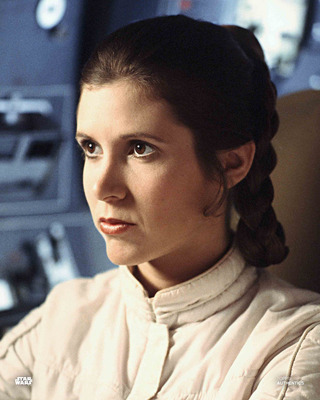 >_> She's not doing great, suffice to say, and it's not easy for her to talk to people, so ngl she'd probably be a bit difficult to interact with whether or not she started disliking Leia for her family connection. xD It's not impossible to be her friend though. Rey managed it! I like the dinner idea, though if @Idris is up for it, @Rey Solo would proooooooobably have to hide the fact that there's someone else there. I don't see Jaesa going for it if she knows a stranger will be there. However, if we did it late October or so, perhaps Jaesa and Rey could have talked about Jaesa's less than happy experience bumping into the ex she still loves, and since it's probably pretty obvious Jaesa has no friends aside from Rey herself and is really lonely, maybe Rey orchestrates a meeting since all three of them are from the same world? Would any of that work, Idris? Rey Solo and Macintosh like this. @Macintosh @Keira @Jaesa Willsaam I'm completely up for dinner antics!! Ahh this sounds amazing! I'm happy to do whatever text threads to set it up and then Rey would probably just try to get everyone to be friends while also being thrilled to be in company as she is really lonely herself at the moment. Macintosh and Jaesa Willsaam like this. Ahhh perfect!!!! Can you set up the text thread so we can knock it out real quick before we start the real thread? I don't get done work for awhile. If I remember right you were gonna do a text thread for Rey and Leia while Jaesa's in the dark about there being a 3rd person involved! Macintosh and Rey Solo like this. Given the season change is tomorrow is everyone okay if I do this early December? Could be Rey trying to spread the christmas spirit? ?